Is there a cake icing for dogs? Why do dogs need their own cake frosting? 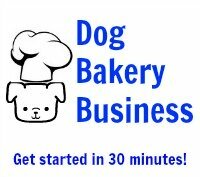 Dog cake frosting is specifically formulated for a dog's digestive system. 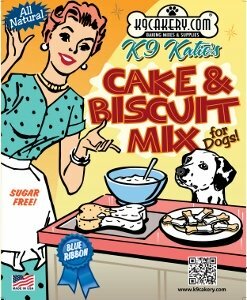 Dogs do not need to have very sweet cake frosting to enjoy their dessert! On the other hand, humans often prefer sugary dessert toppings. A dog "tastes" through his nose. The smell of the food is what is enticing to an animal. Their sense of smell is far superior to ours. What we might find offensive to the taste, a pet might consider to be truly delicious. Do not judge a dog treat based on your own likes and dislikes. Your dog may not necessarily agree. The cake in the image above is frosted with Magifrost. This is a tapioca based frosting for dogs. Many dogs are lactose-intolerant. This frosting helps them to digest the product more easily. Dog treat frostings have been made with yogurt because it is an easy ingredient to obtain. However, it is a dairy-product. Dogs are carnivores, so Magifrost was created to keep the dairy content out. 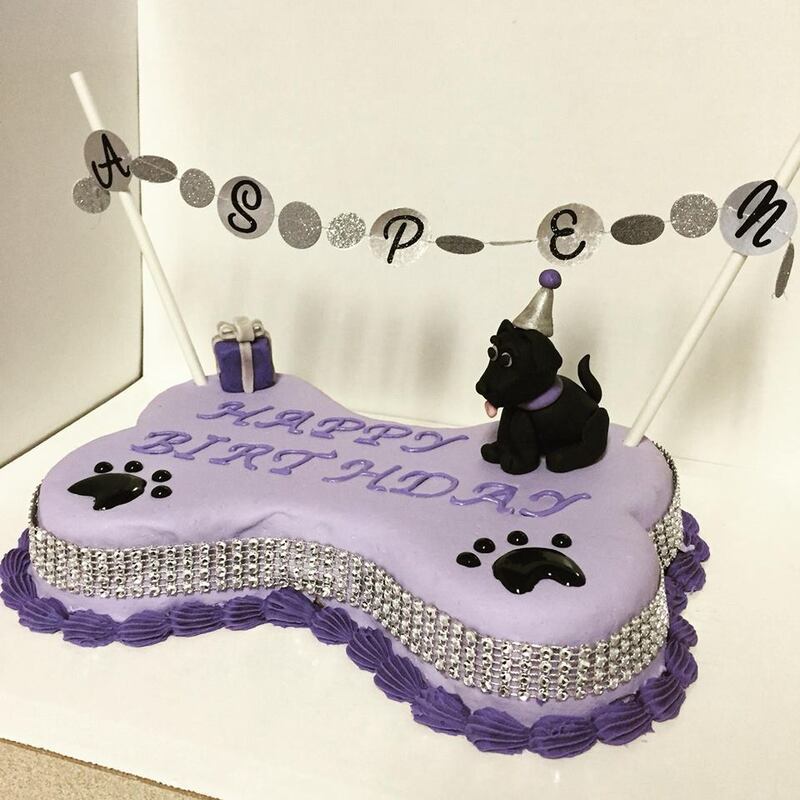 12 Paws Barkery created this beautiful dog birthday cake for a dog named Aspen. It is frosted with Magifrost. As you can see, the frosting hardens when it dries and sets. It does not need to be placed into the refrigerator. If you live in a warm climate, you do not have to worry about your cake's frosting falling off and melting. If you used melting chips, then if the climate was warm, the frosting would definitely start to melt off. The directions are very simple. Place some Magifrost frosting powder into a bowl. Add the specified amount of water, stir, and then frost your cake. The frosting consistency makes it easy to pipe decorations and write words, just like you would do with regular cake frosting. You can use the same piping tips and bags. The main difference is that the ingredients are specifically formulated for pets. If you have a question about whether or not your pet can have the frosting, it would be best to check with your veterinarian. Magifrost is manufactured by Fido's Frosting brand of dog treat icing and is sold online through K9Cakery.com. 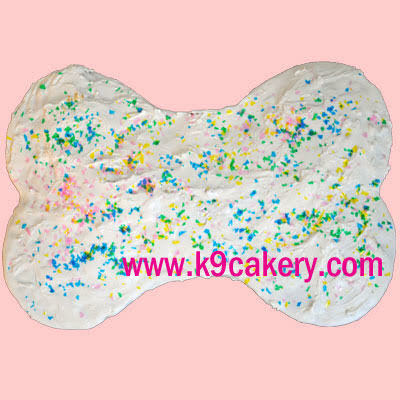 You can find a dog bone cake pan on the site to make the dog bone shaped cake.